The following perspective is an excerpt from The Wonder Walls: From the Streets of Toronto. 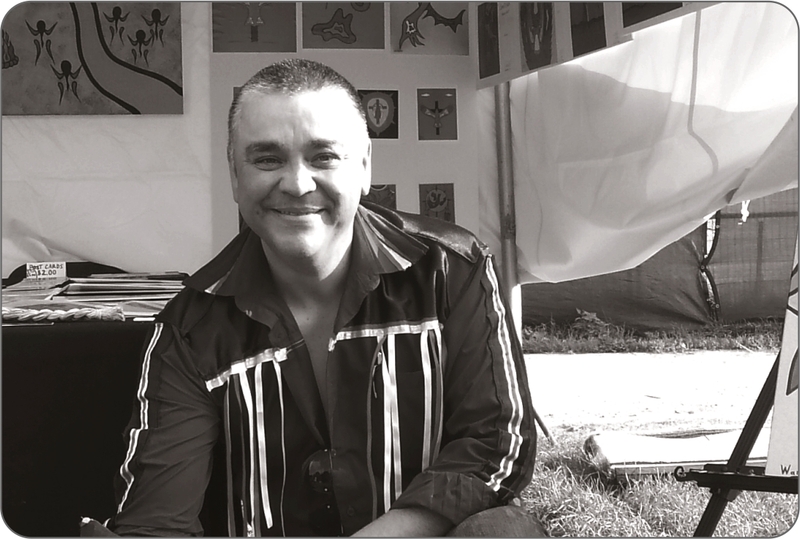 Lorne A. Julien is a First Nations artist and youth empowerment advocate. The Wonder Walls brings together 10-unique perspectives from remarkable people who have used positive solutions to overcome life’s challenges. It also features 44-inspirational message postcards that showcase the walls of this culturally diverse city. The 8isGreat platform encourages you to choose which of our empowerment partnership organizations you want a part of our proceeds to benefit. To read more about this perspective story or to order your copy, please visit http://www.gobegreetings.com. My Mi’Kmaq name is “Warrior on the Hill” given from my youth when I learned about the spiritual ways of my heritage. I specialize in mostly acrylic painting using vivid colours. It allows me to lift people’s spirits and to enjoy exploring a culture that is uniquely mine. I began working as a self-taught artist around the age of five. I retained this interest throughout life but I made the decision to focus on developing these skills only recently, which I did over the past four to five years. It provides me with a form of therapy in creating work by allowing beautiful thoughts that are held within me to erupt onto the canvas. This leap of faith caused me to leave a good job and pursue a dream – my dream. In order to achieve success, we need a positive attitude. I am confident this is conveyed in the work I create to illustrate the meaning of a culture that sometimes is forgotten. It is my hope that it will help young aboriginals realize they can be great contributors in society. Fostering positive self-esteem and pride alongside educating them to the gifts they possess is essential in order to have a meaningful future. It is vital to work at which you feel you are good at. Success in your endeavours will then be able to follow you in your journey. This is what life is all about — to never give up trying.